Good teddy bear dogs coming when called. How to train your dog to come when called? There is nothing more frustrating for a dog owner than when a dog doesn't come when called. Some types of teddy bear breeds are prone to this issue and so if it arises it must be attended to straight away! Ask around and most of the dog owners will have "My dog doesn't come when I call!" as the No.1 complaint on their list. Frustrations and complaints aside, training the dog for a recall is actually one of the funniest pet exercises, simply because it involves so many goof ups on parts of both the dog and the owner! It is simple really. Basically, you want your teddy bear dog or any dog of yours, to respond promptly to a keyword such as "here Jazz", and for that, you must make "here Jazz" as the most appealing sound for your dog! How to do that? Well, by showering your dog with his favorite presents and loads of love! Never tell off your dog - This usually happens when you are mad at your dog for some reason (not doing what you asked him to do, for instance). The "come here Jazz" command that you give to your dog then, is one filled with anger and usually accompanied with a scolding or punishment. Suddenly you will find your dog to be full of apprehension on hearing "here Jazz" and not obeying your command. Remember, a single such instance can effectively undo months and months of hard work! Make the exercise a rewarding one - If you want your dog to be truly motivated and respond promptly to your command, make sure that you are making him happy 9 out of 10 times. If you do this, your dog wouldn't mind if he is put in a leash on the tenth instance and marched back home! "Come here" should not mean "fun ends now" - If your dog finds out that "come here" usually translates to a boring routine job or grooming time or it's time to leave the park, he will become less and less obedient. It is important that your dog thinks that you just want him to "check in with you" and not "stop whatever he is doing and come back" whenever he hears the "come here Jazz" command. Use a long line - If at all necessary (e.g. if your dog is new or you are unsure how is he going tor react to the recall exercise), use a long line to keep your dog in control. A long line is like a leash but exceptionally long, and allows you to keep your dog within your reach at all times. Get your dog to like being in a car - Ensure a proper reward (a few biscuits, a drive around the city or even a cup of water would do) for your dog, whenever he is asked to approach the car or sit inside. Once he begins to understand that a reward awaits him in the car, he will eagerly respond when you ask him to get in the car when taking him somewhere out or at the end of each training exercise. and, a prompt RELEASE after the dog has obeyed your command. Remember, while it is necessary to make the whole "training for recall" exercise fun for your dog, it is equally important that you do not make it seem like a cakewalk for him. Use your (authentic) attention and affection sparingly, and only as a just reward for a task well accomplished by your dog. Making the rewards easy to get, whenever and wherever your dog asks for it will only make him greedy and disobedient! 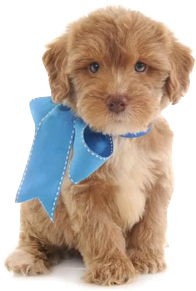 Want more useful tips for training your puppy check out this post.